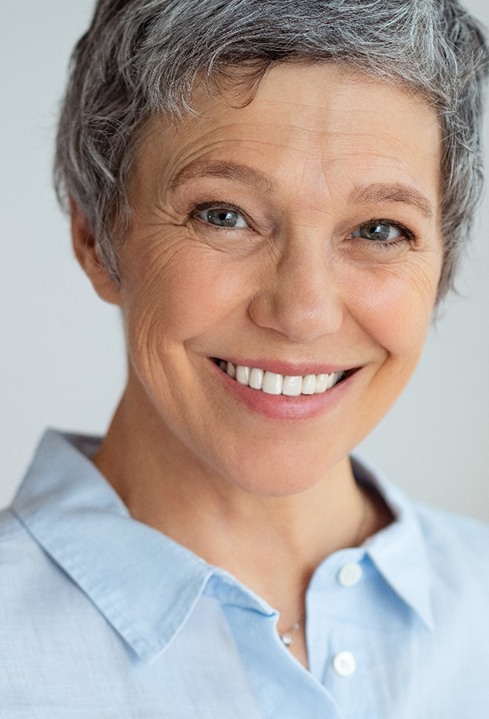 While there are several options available in today’s world for rebuilding lost dental structure, dental implants truly stand apart from the crowd. Why? Because unlike traditional dentures and bridges, they replicate EVERY part of the natural tooth, including the root that’s well-hidden beneath the surface of the gum tissue. As a result, these new “teeth” are highly aesthetic, reliably functional, and built to last for life, preserving health every step of the way. If you’d like to explore this transformative option in further detail, don’t hesitate to contact Aesthetic Family Dentistry in Baytown today. 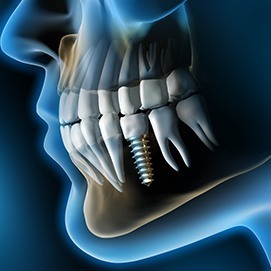 The dental implant itself forms the new “root” of the tooth and is surgically inserted into the jawbone in order to bond with the tissue and bone. Once this gradual process is complete, it’s time to design and craft the ideal restoration that will sit on top. Dr. Hutto’s recommendation for this step will depend on the number of teeth/implants we are replenishing. If we are rebuilding a singular tooth, an implant-retained dental crown will be the best choice for replacement. This crown will be designed as an ideal complement to the rest of your smile in look and feel; better yet, it will be able to fit right in alongside natural teeth without requiring any significant reduction of their shapes, which is much better for your long-term oral health. After some time has passed, it will feel like you never lost a tooth in the first place! 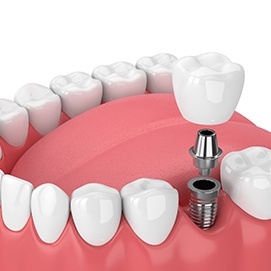 While implant-retained dental crowns can also be used to restore multiple dental implants, consecutive missing teeth may be better suited to an implant-retained bridge. This type of prosthetic is named as such because it literally “bridges” a gap within your mouth. Dr. Hutto will position one dental implant on either side to serve as “anchors” that will keep your new teeth securely in place. The final result is strong, attractive, and built to last. Missing All of Your Teeth? Implant-Retained Dentures – This type of prosthetic is more cost-effective in general than replacing each lost tooth with its own individual implant and dental crown. Instead, we will strategically position a small number of dental implants to provide optimal support throughout the mouth. Implant-retained dentures can be permanently fixed in place or kept removable in nature like a traditional denture. Mini Dental Implants – If the patient does not have enough healthy bone structure to support the placement of traditional implants, miniature dental implants are an excellent alternative. Like their name suggests, they can succeed in much shallower jawbone, supporting full prosthetics for many years to come. All-On-4/Teeth in a Day – With this revolutionary technique, our dentists can rebuild a full arch of missing teeth in just one day! We will position just four implants at strategic angles to support your personalized prosthetic, placing a temporary appliance that is functional right away. Once the finished denture is ready, it will be swapped out during a follow-up appointment. It is important for patients to keep in mind that every dental implant place case is different. 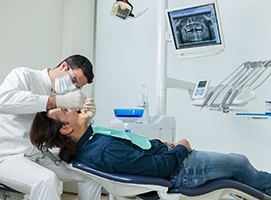 There are several factors that can contribute to the overall cost, including the number of dental implants/restorations needed, if bone grafting or periodontal therapy must be performed as a precursor to ensure success, etc. Dr. Hutto will be sure to review your case comprehensively before any treatment begins, and our team will provide you with a confident estimate once we better understand your personal circumstances. Rest assured that we are happy to help make tooth replacement with dental implants as affordable as possible through filing insurance claims, offering payment plan options, and more.